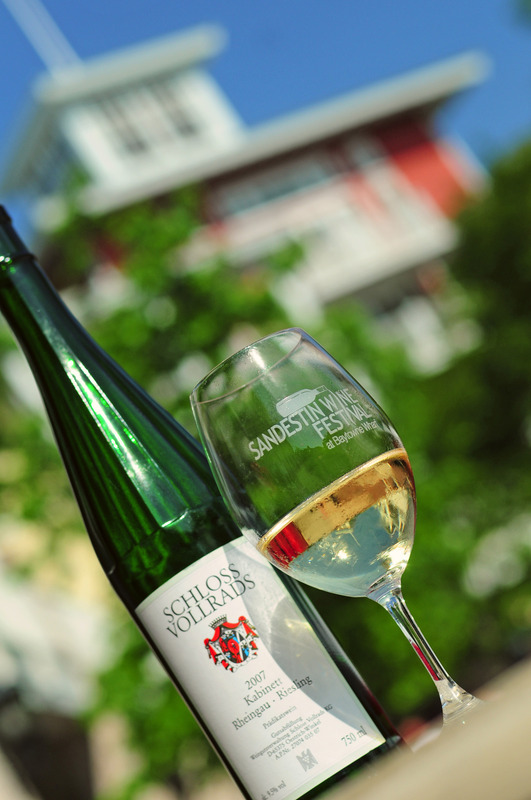 The 26th Annual Sandestin Wine Festival at Sandestin Golf and Beach Resort, one of the South’s best and most established wine events of the year, is scheduled for April 26-29 at the charming Village of Baytowne Wharf in the luxury beach resort in Florida. Because of the expanded offerings combined with the long standing tradition of the Sandestin Wine Festival, guests are encouraged to make arrangements and reservations early before the event is sold out. For those who want “to wine” this Spring, Sandestin Golf and Beach Resort offers an enjoyable weekend with more than 600 wines, an expanded Culinary Pavilion, fun seminars and deluxe Destin lodging with views of the sugar white sand beach or a golf course of choice. The Sandestin Wine Festival is affectionately known as the “Kentucky Derby of Wine Festivals” because of its popularity and grandeur. It is a picture-perfect event, complete with white tents, flowing wine, gourmet food and live music. Beginning April 26, leading Village restaurants including the Marlin Grill and Bistro Bijoux will offer special dinners, paring delicious culinary options with wines. On Friday April 27, guests can experience one-of-a-kind wine seminars, paired with cheese. These seminars include one on Biodynamic Wines from a top producer in Alsace, France with a guest appearance by Amelie Buecher and another on Bordeaux Wines with a guest appearance by Francoise Lannoye. Grand Wine Tastings are held at The Village of Baytowne Wharf on Saturday, April 28 and Sunday, April 29 from 1-5 p.m. Wine connoisseurs to wine novices join together to find more than 600 different wines to sample. New this year will be an expanded Culinary Pavilion with a Mediterranean theme, available to all guests with a paid wine festival ticket. Wine festival guests will enjoy wines and cuisine from this region, including paella, cassoulet, cheeses and other specialties. Other additions to this event are special culinary and cooking demonstrations by celebrity chefs including Tim Creehan of Cuvee Bistro; Johnny Earles, founder of Criolo’s; Irv Miller of Jackson’s; and Jim Richard of Stinky’s Fish Camp. Scheduled for 2 and 4 p.m. on Saturday, April 28 and Sunday, April 29, these special sessions will be moderated by Julia Rutland, Senior Food Editor of Coastal Living Magazine. Also new for 2012 is a special Sandestin Wine Festival VIP ticket including valet parking, a catered lunch by Marlin Grill, a specialty Riedel glass, a reception located at the Amenities Terrace and access to rare and distinct wines not available at the Grand Wine Tasting. After a full day of sampling wines and finding new favorites during the festival, guests can purchase and transport wine sampled that day. To thoroughly enjoy the events surrounding the Sandestin Wine Festival, guests can take advantage of staying at one of the many Sandestin Golf and Beach Resort’s beautiful Destin vacation rentals, many with water or golf course views. Special rates for lodging are available with complimentary amenities including tennis court time and fitness center access. Call 866-91-BEACH or visit http://www.sandestin.com. Got children? Sandestin welcomes them. The Sandestin Wine Festival has been recognized as “the most family friendly wine festivals in North America.” Sandestin and the Village offer a wide variety of activities and enjoyable options for individuals of all ages. For more information about the Sandestin Wine Festival at the Village of Baytowne Wharf, ticket prices and other details, visit http://www.sandestinwinefestival.com. For added savings, purchase packages or tickets online prior to the event. Group discounts are also available. “Because of the expanded offerings combined with the long standing tradition of the Sandestin Wine Festival, guests are encouraged to make arrangements and reservations early before the event is sold out,” said Claude Comtois, Executive Director of the Baytowne Wharf Neighborhood Association (BWNA), the organization that sponsors and coordinates this and other special events in the Village. Sandestin Golf and Beach Resort was named the #1 resort on Florida’s Emerald Coast. The resort invites guests to a world of 2,400 acres and 30 charming neighborhoods featuring 1,300 Destin vacation rentals, condominiums, villas, town homes and the best in Destin hotel accommodations. As a member of Visit South Walton, the resort features more than seven miles of beaches and pristine bay front, four championship golf courses, 15 world-class tennis courts, 19 swimming pools, a marina, a fitness center and spa, meeting space and The Village of Baytowne Wharf, a pedestrian village with shopping, dining and nightlife.